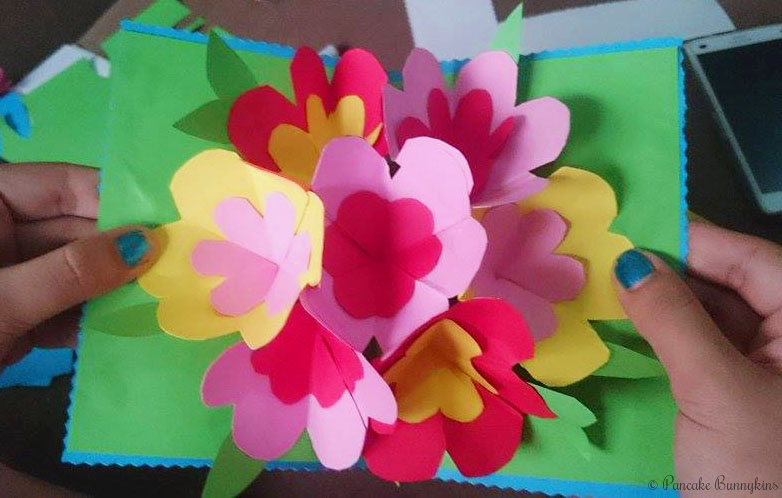 This morning, I tried crafting things again as a form of relieving stress, but I don’t have enough materials, so I improvised. I am planning to make a bon voyage card to a friend/colleague who’s moving to Ireland. I don’t think I’m gonna finish it on time. I have 3 days left. I don’t like the colors. I hope I will still have the time to buy pastel colored papers. This is a birthday card that I made for a friend last year. She asked me if I can make it like a couple card or something for her boyfriend’s birthday. I made a pop-up card of a couple cruising on a boat under the aurora borealis where the guy is seen playing the guitar to his girlfriend. I used oil pastel for the background and construction papers for the rest. The birthday message is written on the pull-out page. 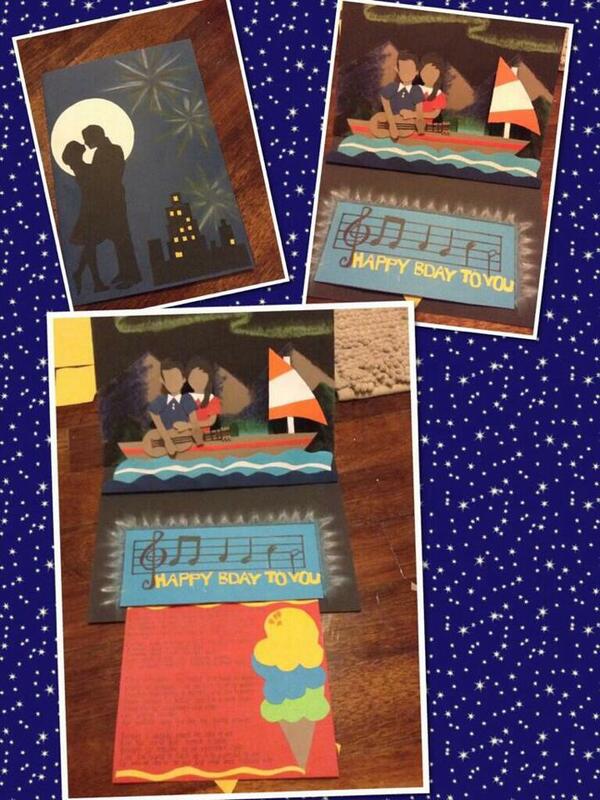 The front of the card is a silhouette of a couple dancing under the full moon. I miss doing arts and crafts. I will try to give it more time in the future. I just need to buy more materials. Cutting and coloring is a really good form of relieving stress. Love the cards. I like the colors on your flower. I think it would be very calming to focus on such a craft but after ten days of work, I wouldn’t be able to get past sleep. But sleep wouldn’t be as rewarding. What a wonderful present. Must have been a great co-worker.